— overcoming my own negative demons ……. 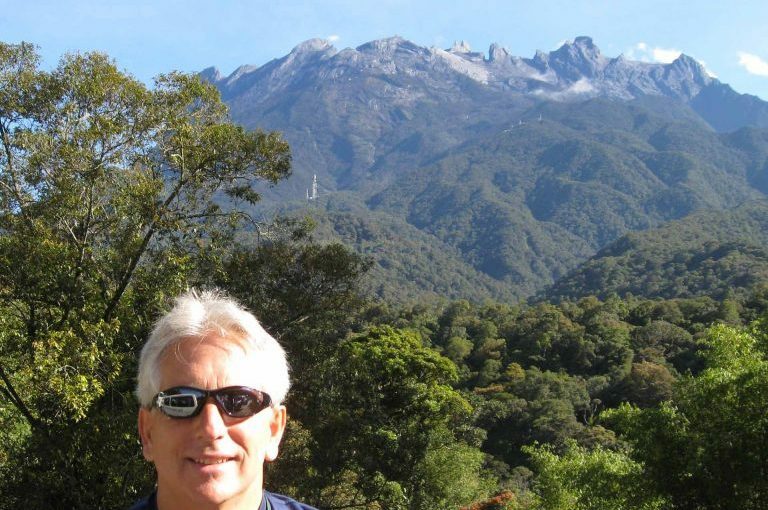 When I was told by Nadine, my better half, that we were going to Borneo on holiday in October, our friendly travel organiser Experience Holidays in Hailsham recommended that we climb Mount Kinabalu, the highest mountain in Asia outside the Himalayas. Of course Nadine, who had previously done Machu Pichu, Anapurna trails, Everest base camp and Kilamanjaro said yes. I was slightly more reserved about the idea, and of course many of my friends and colleagues laughed at the idea of unfit, overweight old me climbing a mountain, and started putting all the negative thoughts my way. I stepped up my training in the gym, I took long walks on the downs around beachy head, and even agreed to climb Helvellyn in the lake district as a mini dress rehearsal. When I got up to the top of Helvellyn, I surprised a few people who thought I would kill myself doing it, and I proved to myself that the old rugby playing thighs were still strong even if the lungs were less strong. I could not believe how relentlessly steep it was – Nadine had climbed Kilamanjaro which was 1400 metres higher but took 5 days to do it. We had one day – she said she had not climbed anything so steep. I remembered an interview with Ranulph Fiennes where he described his journey to the South Pole, where he did not dare look ahead too far and just set goals of a few steps at a time – this thought came to my rescue, because the climb was horrific – on many stretches I did not dare look up – it was too dispiriting, so I literally took it one step at a time. Nevertheless, we climbed to “base camp” 3000 metres in four hours thirty minutes with only one other group of climbers getting up there faster. I was amazed to see others taking over seven hours to get there. When we got up at 2am to commence the climb to the summit to be there for sunrise , the doubts cut in again especially as the steepness of the next ascent was obvious. But despite being older and heavier than most of the other climbers, I passed many on the final ascent as we climbed slowly but steadily up to the top, which we reached at 5.30 in time to take great pictures of the sunrise. And we were first down – and thanks to the stick my knees survived , sore but still moving. Looking back, the negative opinions of others motivated me to succeed, and now I feel relieved I did not allow myself to be a W.I.N.P. like so many others do . No – I did not allow myself to be Willingly Influenced by Negative People, who were happy to tell me I was mad and that I would kill myself and, more importantly, neither did I allow my own negative demons or thoughts to gain dominance over my confident thoughts, before or during the climb. So it must be with business owners and managers – we are all surrounded by people who are only too happy to tell us why we will fail if we stick our heads above the parapets, and yet those “neg heads” are often people who have never taken a chance in their lives. What I have proved to myself yet again is – if you want to do anything badly enough, whatever the motivation, you will find a way to overcome your obstacles. In today’s economic climate, some obstacles will seem like mountains, but if you really want to overcome your own mountains badly enough, it is important to believe anything is possible, and most importantly do not allow yourself to be a WINP by listening to the “neg heads” who will always try to stop you succeeding in business and in life. Previous Previous post: What if – and why not?